Sure, there may have been a snowstorm here in Montreal just last week, but hey, it’s mid-April, and the snow has melted. 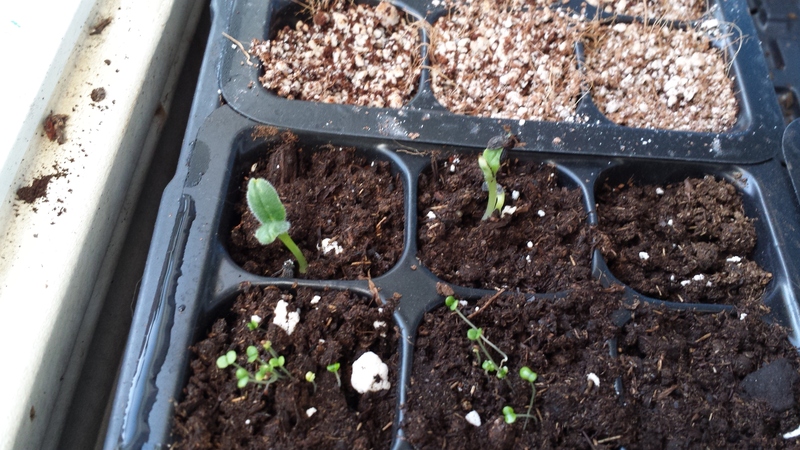 One’s thoughts turn naturally to seeds, seedlings, and gardens…well, at least, mine do. 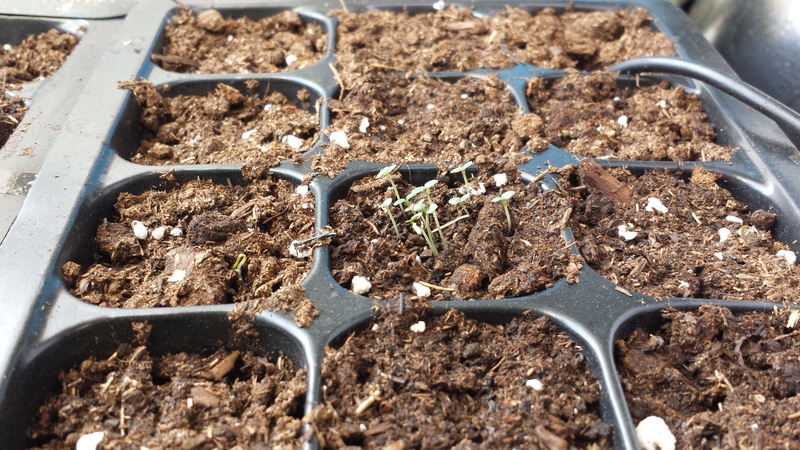 I did start some seeds not too long ago, and some of them have sprouted! So, here are some photos for all of you. These will hopefully serve as a source of inspiration, or, if you’re new to starting seeds and are having trouble identifying your baby plants, these could help you with that, as well. 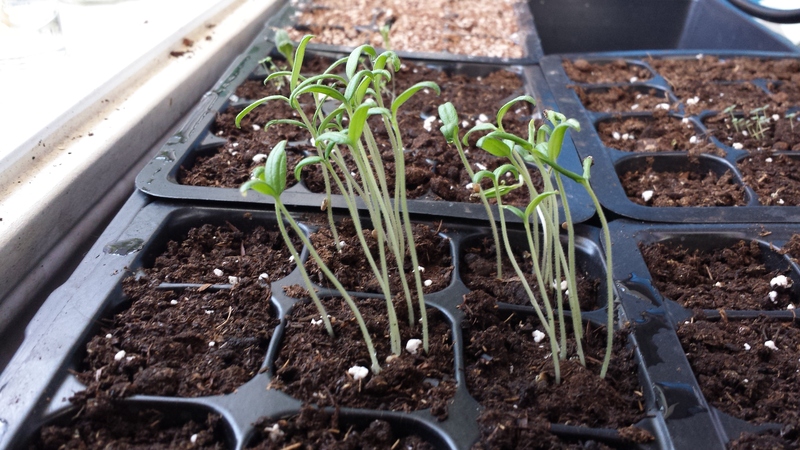 Note: I did sow my seeds more thickly than usually, since all are at least 2 years old, and thus, will have a lower germination rate. Use a sterile seed starting mix– Whether you buy a commercial seed starting mix or mix one up yourself, using a sterile mix (as in, don’t use dirt from your yard or potting soil you’ve already used) will help you to avoid problems with pests and disease. Maintain consistent moisture- Make sure your seed starting mix stays moist, so that seeds are able to sprout. 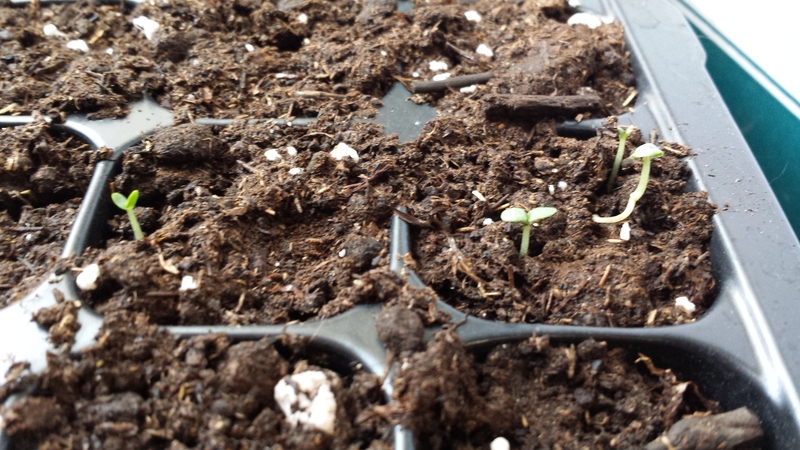 This can be achieved by covering your seed-starting mix with a plastic dome, and/or by misting it with water. Provide sufficient light- Though most seeds don’t need light in order to sprout, your seedlings will need light to grow into strong plants.